Few things are more constant than change, as demonstrated by the photographs of the University of Virginia and Charlottesville that follow. From the demolition of a Thomas Jefferson-designed building to the evolution of the Corner, much of the University’s history can be found in the stories told by its streets and buildings. Then and Now with Coy Barefoot from UVA Magazine on Vimeo. Rugby and Wyndhurst, the two large farms just north of the University, were parceled off and developed during the first decades of the 20th century. 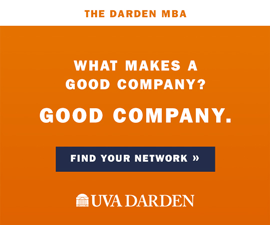 In 1906, a delegation from the University that included UVA’s first president, Edwin Alderman, bought 20 acres of the old Rugby farm overlooking Lambeth Field. There they developed a subdivision for faculty members and their families and named it University Place. Student rentals make up a good portion of the neighbor-hood today, now known as the University Circle neighborhood. 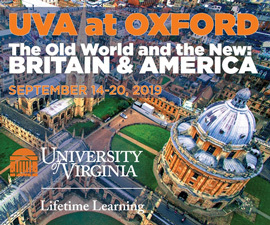 The most famous resident of University Circle was Anna “Anastasia” Manahan, who lived in Charlottesville with her husband, former history professor Jack Manahan, from the late 1960s until shortly before her death in 1984. Anna claimed throughout much of her life that she was in fact the Grand Duchess Anastasia of Russia and that she survived the July 1918 massacre that killed Tsar Nicholas and his family. In 1994, DNA tests concluded otherwise, revealing Anna to have been a one-time Polish factory worker named Franziska Schanzkowska. Her supporters still dispute the test results. 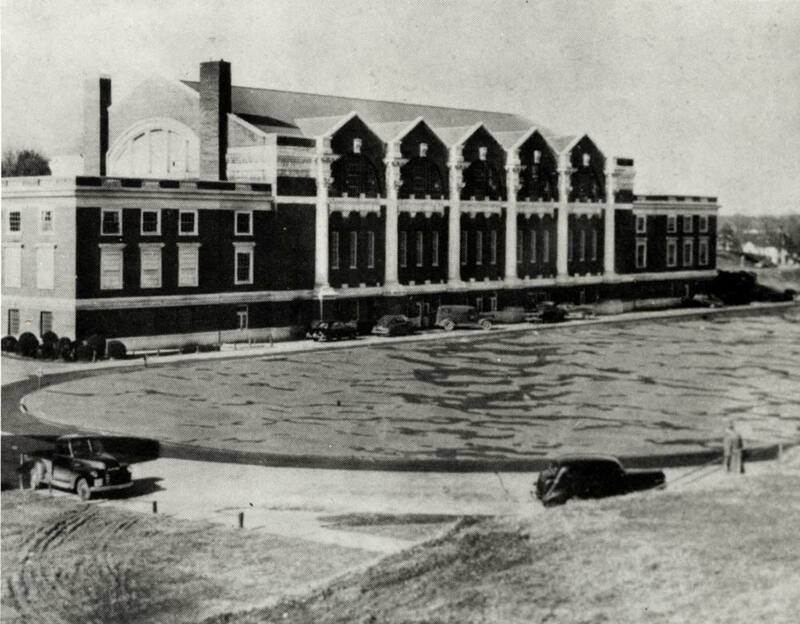 Just west of the University’s “ice pond,” ground was broken in spring 1922 for what then would be the largest gymnasium in the South. Named in honor of alumni who had died in World War I, Memorial Gymnasium officially opened in 1924. It replaced Fayerweather Gymnasium, built in 1894, which was subsequently converted to house the art department. Water from Meadow Creek, which had fed the old pond, was rerouted into a fashionable reflecting pool. By the summer of 1952 the pool had become a “sunken mire,” full of carp, trash and floating beer cans, according to the Cavalier Daily. The reflecting pool was filled in and converted to a much-needed parking lot. Memorial Gymnasium continues to be an important and historic part of the University’s athletic facilities. 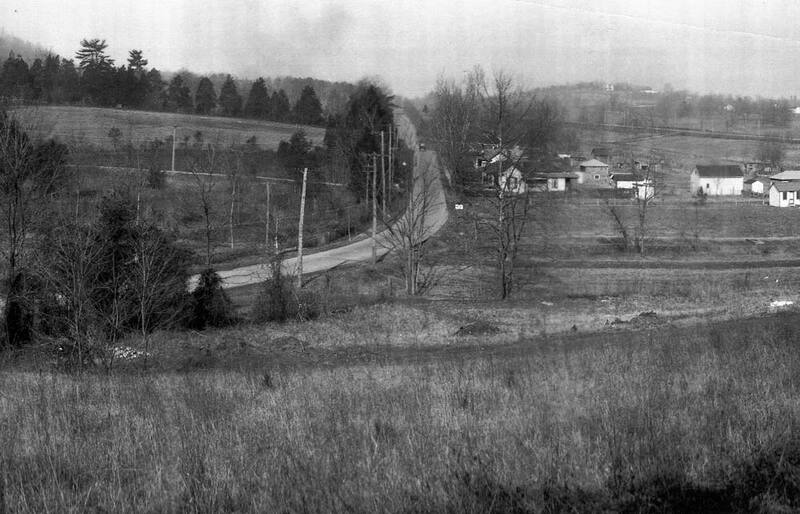 Looking west from Carr’s Hill, this photo shows the Ivy Road section of the newly paved U.S. 250, on its way to the Shenandoah Valley and beyond. This photo was taken several years before the Lady Astor Tennis Courts were opened in 1931. The courts were the result of a generous donation from Lady Nancy Astor, a native of Danville, Va., and the first woman elected to the British Parliament. 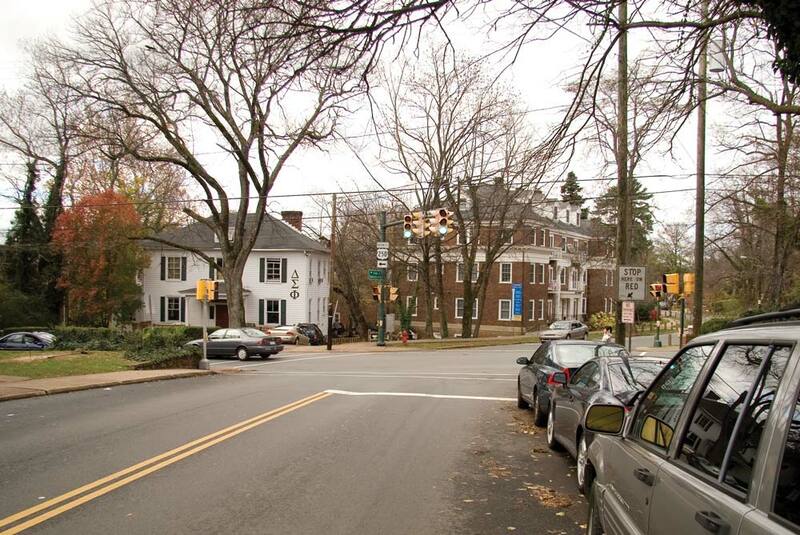 The buildings to the right, at the intersection of Ivy Road and Emmet Street, included the Eddins family’s University Dry Cleaning Works, which cleaned and pressed suits for generations of students. 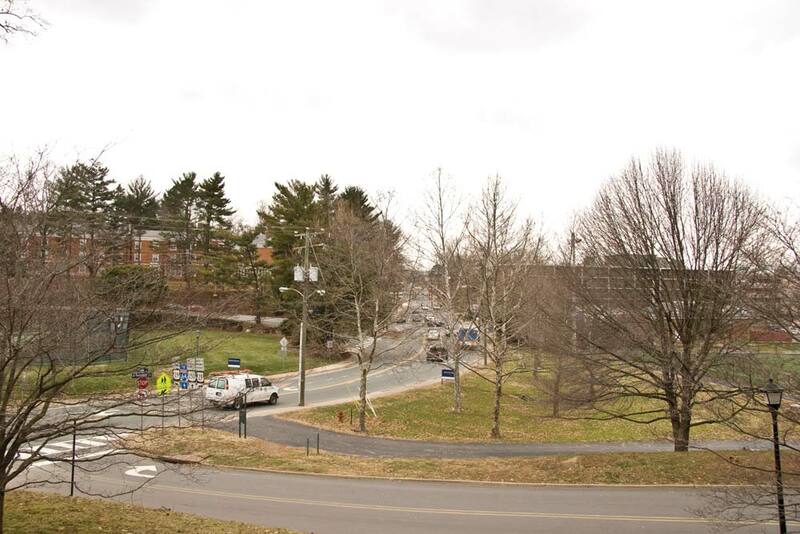 That land is now the site of the Cavalier Inn, which was purchased by the University’s Real Estate Foundation in 1998. As opening day for students approached in 1825, state officials—lobbying for funds to create their own medical school in Richmond—criticized Jefferson’s plans for medical instruction. Officials argued the University would not offer sufficient hands-on learning for aspiring doctors (and the pavilions were certainly not ideal locations for dissecting human cadavers). Jefferson responded by designing the Anatomical Theater in February 1825. In keeping with his vision for expanding the Academical Village with a parallel row of buildings on West Street, he sited the theater just opposite Hotel A of West Range. In 1929, dissections were moved from “Stiff Hall”—as it was known to students—to a newer facility in the growing medical complex, which had first opened down the hill from East Range in 1901. The theater continued to provide storage and office space as it gradually fell into disrepair. In 1939, the University razed Jefferson’s Anatomical Theater out of concerns that it marred the view of the new Alderman Library, which had opened the year before. 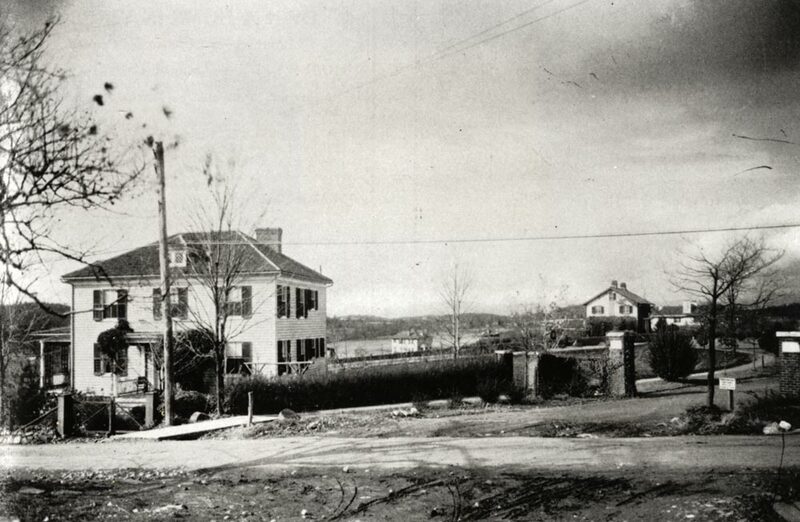 This is believed to be the first picture postcard of the UVA Corner, taken not long after a tunnel for University Avenue was dug beneath the railroad tracks. The project commenced in July 1901. Laborers worked through that summer and into the fall fighting the tenacious Virginia clay with picks, shovels, mules and draglines. They managed to dig out University Avenue on both sides of the railroad tracks, and graded 14th Street to meet the new level of the intersection. 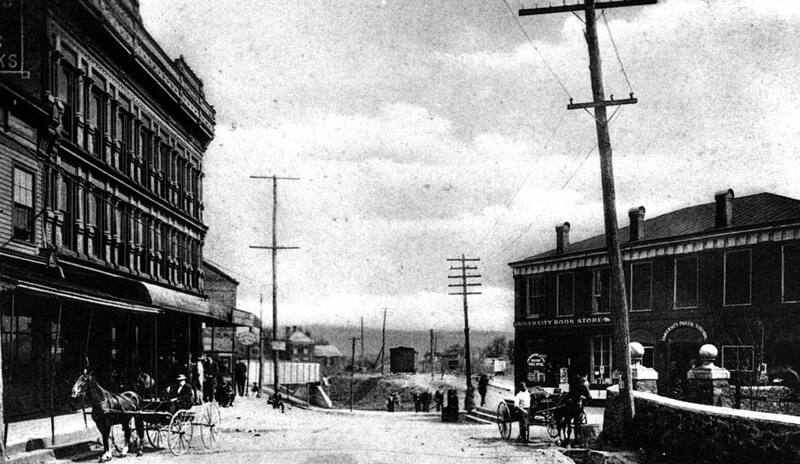 From downtown, the road was paved with bricks only as far as the new trestle, which then marked the city limits. 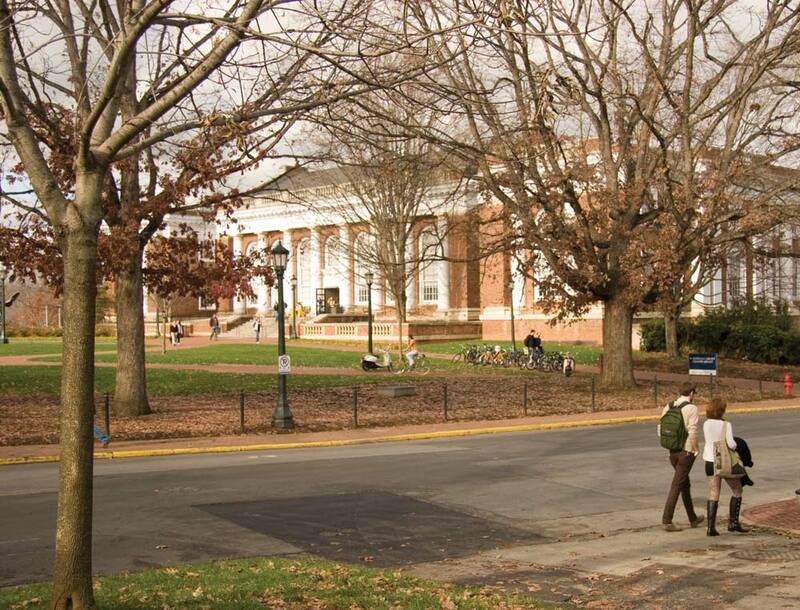 Students began referring to the area as “the Corner” around 1890, as it was literally just a corner, where the main entrance to Grounds met the road to Charlottesville. To the right in the 1902 photo is the Sons of Temperance Hall, which opened just outside the Grounds of the University in 1856. 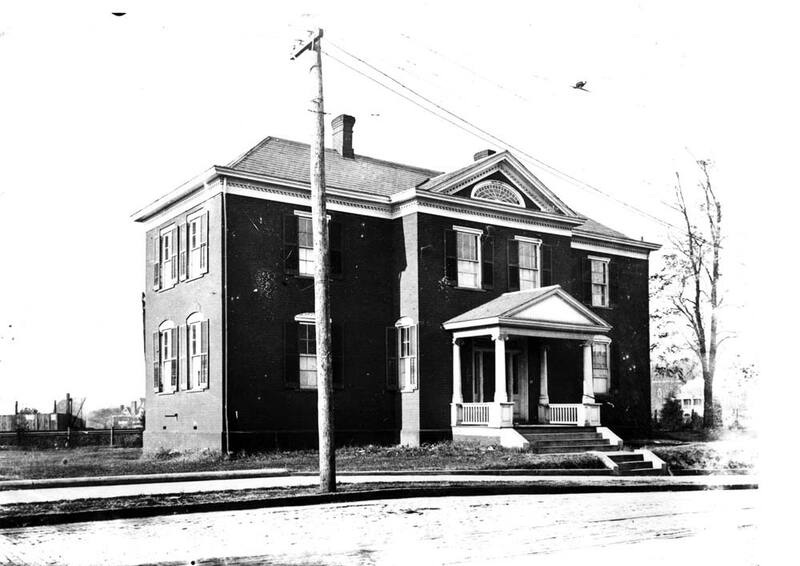 The building offered a meeting room for the Student Temperance Movement upstairs as well as space on the ground floor for the University Book Store and the UVA Post Office. In the rear of the building, Jack Kennedy—one of the first African Americans to do business with the University community—operated his barbershop. Not far from Dr. Sam Chancellor’s popular drugstore and soda fountain at the UVA Corner was the University Dispensary, where medical students got valuable clinical experience in the days before “University Hospital” was built. Medical professors offered consultations, prescribed medications and even performed outpatient surgeries at the dispensary—all under the watchful eyes of aspiring physicians. Students referred to the land around the building as Dispensary Park. 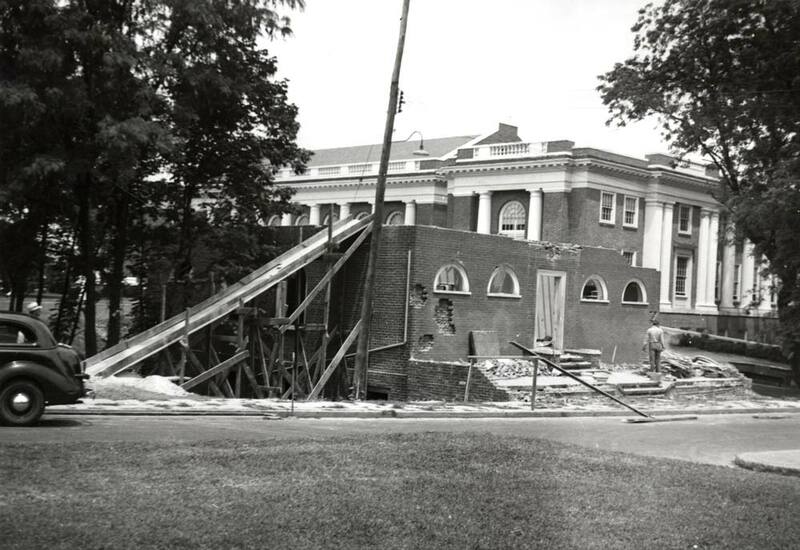 In the fall of 1919, the University Dispensary was torn down to make way for the George Rogers Clark monument, a gift to the University from Charlottesville native and benefactor Paul Goodloe McIntire. Amid Dispensary Park’s hemlocks, sycamores and pines, the Robert Aiken-designed statue was set atop a massive pedestal and installed just across the street from Johnson’s Confectionery, a popular student eatery. Though the dispensary is gone, its front steps leading down to the sidewalk still remain. 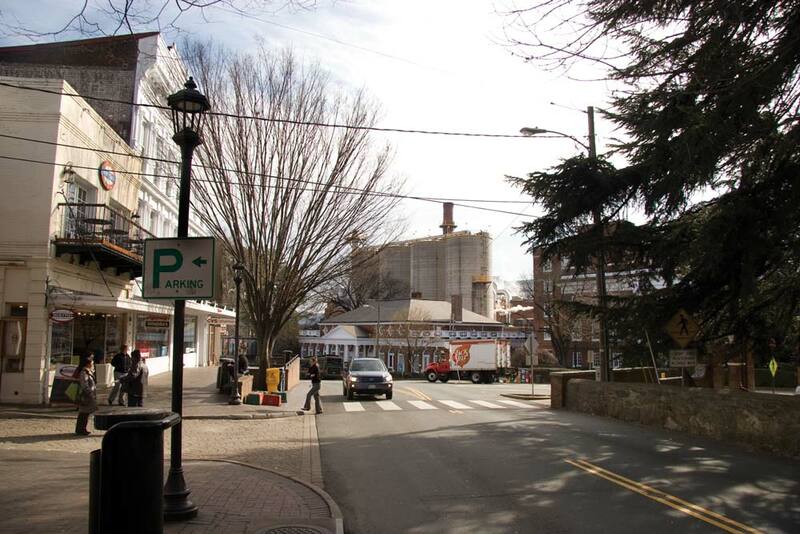 Like Charlottesville’s Downtown Mall, West Main Street and University Avenue, this road is believed to follow the path of the original Three Notched Road, a Colonial route that linked Richmond and Staunton. James Monroe and his family lived on an 800-acre farm here from the summer of 1789 until he moved to the Highland estate 10 years later. This was Thomas Jefferson’s most likely route when he came to consider Monroe’s former farm as a site for his Academical Village. As plans for the University matured, Jefferson began to refer to this road as West Street. When the Leander McCormick Observatory—which held the largest telescope in America at the time—opened on the summit of Mount Jefferson (now Observatory Hill) in 1885, West Street was rechristened McCormick Road. 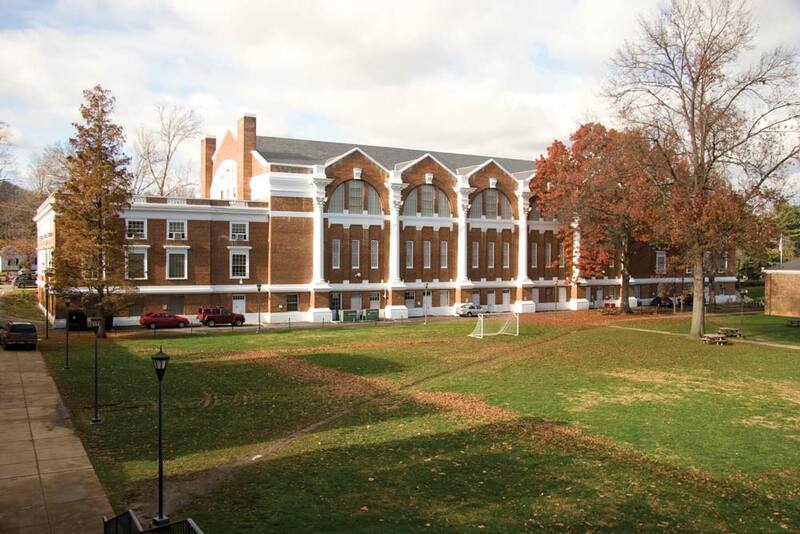 James Monroe’s former home is now the site of the University’s residential Brown College. As football joined collegiate boxing as a major sport at the University, work began in 1930 on a new stadium to replace Lambeth Field. Scott Stadium—named for the family of University rector and benefactor Frederic W. Scott—was officially dedicated on Oct. 15, 1931. Former Gov. Harry Byrd was on hand for the ceremony, and in the stadium’s inaugural game Virginia lost to VMI. 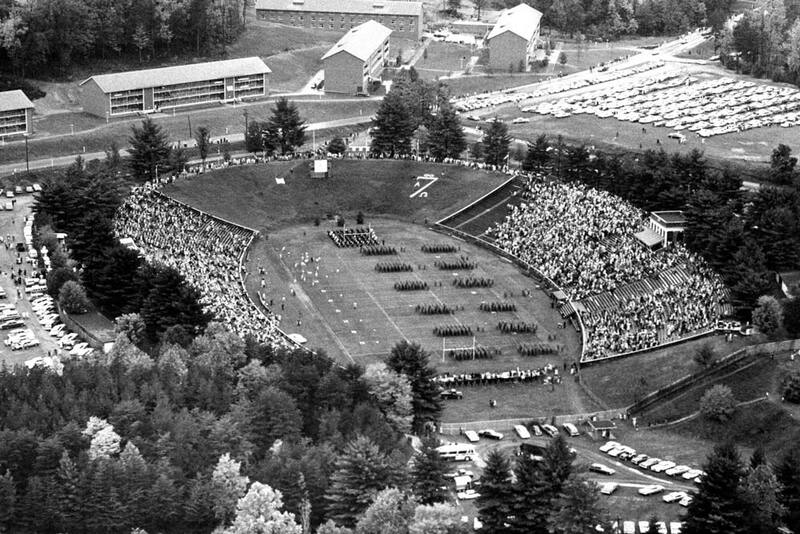 The new facility, located to the west of Grounds, just beyond the last tee of what was then the University Golf Course, offered parking for 5,000 cars and included concrete bleachers built into the hillside for 22,000 spectators. As the student newspaper College Topics noted in 1934, a small brick building was erected near the stadium’s open end that served as the first locker room. 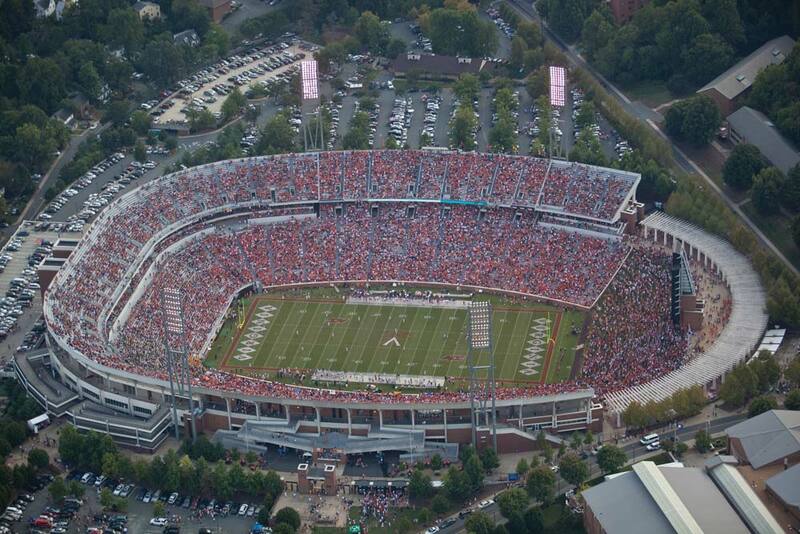 “No longer will the teams have to pick themselves a soft spot on the grass to rest between halves while a curious group of spectators stare and offer suggestions.” Today known as the Carl Smith Center, Home of David A. Harrison III Field at Scott Stadium, the facility has a capacity of 61,500.